The 16901A 2-slot modular logic analyzer provides high-performance, system-level debugging of digital designs. 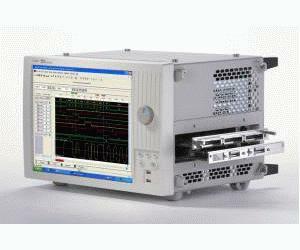 Customize your modular logic analyzer for your specific needs with innovative probing, high-performance measurement modules, and application specific analysis tools. Expandability is the key to the system’s long-term value.